Meet The Incredible, Inspiring Odisha Chaiwala Who Just Won Padma Shri…. For every cup of tea sold at his stall, he used half the amount towards the education and health of the slum kids. 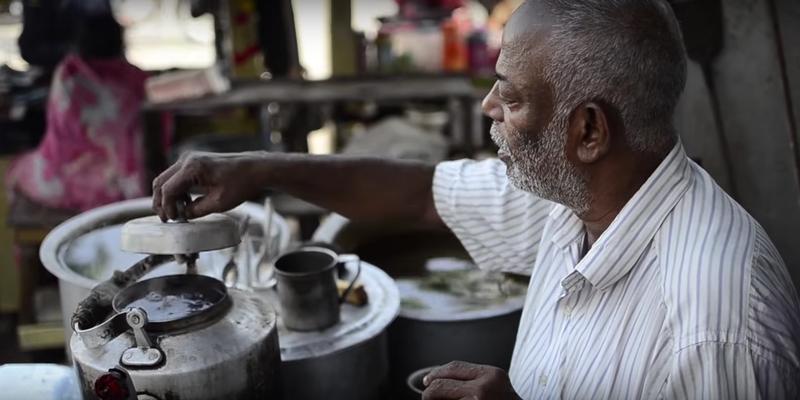 “For 54 years, I was a roadside tea-seller. But today, I am a Padma Shri tea-seller,” beams Odisha-based 61-year-old D Prakash Rao, who was conferred the prestigious award on Republic Day by the Government of India. How did a tea-seller win the fourth highest civilian award in the Republic of India, you ask. Rao was only six-years-old when he started working at his father’s tea-stall. His father served during the second world war. When the war ended, he returned to his hometown, Cuttack. He hoped that his service during the war would help him find an alternate job. But to his disappointment, nobody wanted to employ him. Pushed by unemployment and poverty, with a meagre capital of Rs 5, he started the tea-stall. One that Rao continued to run for the next five decades. He first operated from his two-room thatched house, with four children, where he provided them with food and education, completely free of cost. Slowly, the number of kids rose, and today his school, ‘Asha o Ashwasana’, has transformed the lives of more than a hundred kids. The same parents who complained about education, gratefully look on as they watch their sons and daughters cycle to their colleges today. The Prime Minister referred to him as a diya (lamp) which guides underprivileged kids to the path of enlightenment. Apart from the people of Cuttack and Odisha, who have supported his initiative, Rao also attributes his success to the media, which he says has been highly instrumental in taking his story to the masses. Next Article Some summertime for you….